Highlight your neutral decor with the elegant touch provided by the presence of this Lindsay table lamp. Decorated with high-gloss indigo details, this Lindsay table lamp from Couture is crafted for stunning quality. The white finish reinforces the neutral elegance in the design. With an optic crystal base and finial, this lamp is detailed from top to bottom. Overall: 32" high. Square base is 7" wide. Square shade is 15" wide x 12" high. Weighs 12.79 lbs. 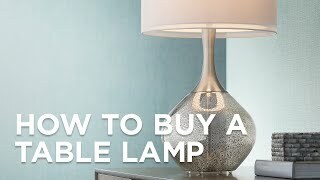 Lindsay table lamp from Couture. High-gloss indigo and white finish; polyresin construction. Optic crystal base and finial. High-gloss white square rounded corner paper shade with indigo trim on top and bottom. 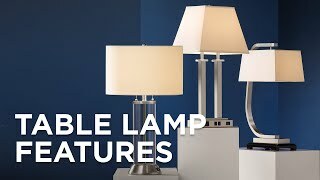 With a white hardback fabric shade and a clear finish base with netted detailsthis table lamp puts the finishing touch to any vacation home. Grace your decor with the refined and elegant style of this contemporary table lampwith a clear base and white fabric shade. 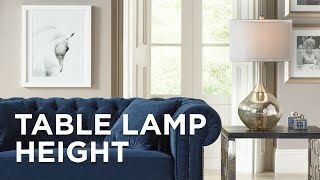 This transitional table lamp comes with a white hardback fabric shade that pairs beautifully with the seeded clear finish of the base.